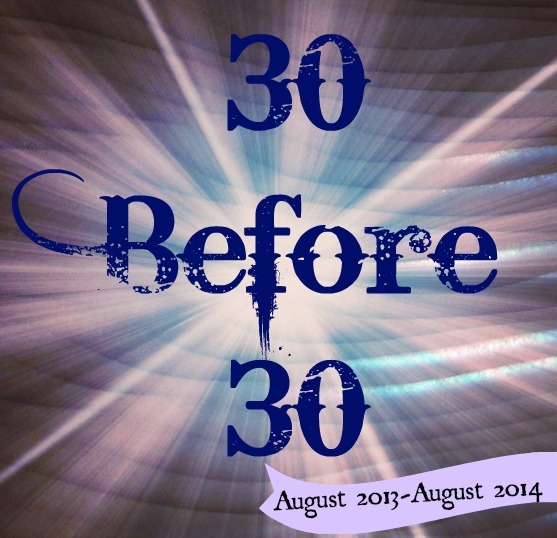 The big 3-0 is coming this August and I had to think long and hard about what I wanted to accomplish before I turned 30. I found many 30 before 30 lists and I decided that I'll jump on that band wagon. I wrote the majority of my list right before my 29th Birthday, but 10 months flew by. For the past six years, I have always viewed my life as being in a runt, not progressing and slowly digressing. Recently, it just occurred to me that I have overlooked many important accomplishments that I have completed. Then I thought, life doesn't end at 30 so why would the challenge end? I am going to do some Before 30 and some While 30. Since I have completed a few already, I've added to the list!